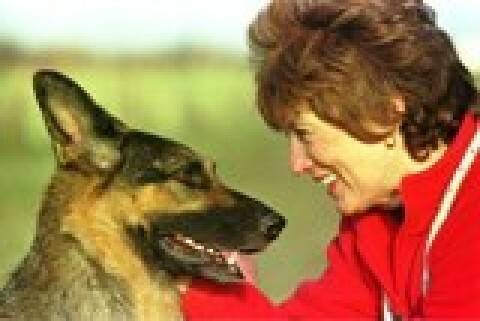 Many dog owners are searching for a way to enhance their relationship with their pets and for those we offer courses in Amichien® Bonding. This is the clear route to understanding why your dog does what it does and what you can do to communicate your wishes to your dog, in a way it actually understands, without resorting to force and without the use of any gadgets. Many students who have attended our courses wish to take what they have learned further and use their knowledge to help others experiencing problems with their dogs. For those individuals we offer a route to achieve this goal. Stage1 is the Foundation Course in Amichien® Bonding. This two day course will give you an understanding of the method and the basic communication system necessary to identify and resolve issues that may arise with your own dog/s. Stage2 is completion of the Advanced Course in Amichien® Bonding. This course takes your understanding much further. You will see how to use the method with all dogs and learn, in greater depth, the subtleties of their language. We use filmed case studies, with Jan at work, to illustrate exactly what is going on in different situations and explain how you can interpret what you see. There is also time spent on human psychology to help you identify when a dog's behavioural issues are actually caused by the actions of their owners. We also show how to overcome the resistance of some family members to using the method. There is a section on safety to give you the knowledge of what steps to take when you encounter an aggressive dog in an unfamiliar environment and how to use the geography of the home to assist you. During the course you will take part in practical workshops to help you better understand the method and at the end of the course there is an exam to ensure you have retained the information given. This exam must be passed in order for you to be invited onto the Graduate Course. Stage3 is the Graduate Course. This is an on-line course and consists of five study modules covering the mechanics of being a dog listener. How to give your clients the service they deserve, example scenarios of working with clients and their dogs. Steps to take to ensure your business is presented in a professional manner and what documentation will be required to be successful, avoiding the pitfalls experienced by Dog Listeners in the past. 2016 Graduate Course fee is £116.40. Once qualified from the Graduate stage you will be able to practice as a Dog Listener, confident that you have the knowledge to be able to help dog owners anywhere with whatever their particular problem may be. You will have access to our community of Dog Listeners who share their knowledge and experience, via an on-line forum, for the benefit of all the group members. You will also receive a qualification certificate which shows that you are Jan Fennell trained - to the highest standard - demonstrating to your future clients that they can put their full trust in you, knowing the service you deliver is the best available for both them and their dog/s. FOR UPCOMING COURSES CLICK HERE..